Everybody makes mistakes in life, and sometimes those mistakes turn into criminal charges. 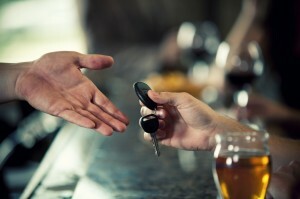 You may have had a few too many and found yourself with a DWI. You had an argument with your girlfriend and now have a domestic violence charge against you. You wanted to get even with somebody may have caused a criminal mischief case to be filed against you. No matter what criminal offense has been filed against you, the attorneys at Raymond Daniel, PC can evaluate your case, discuss the legal consequences, and work toward getting it resolved in the most favorable way possible for you. We handle everything from traffic tickets to felonies. Some cases aren’t as serious as others, but your case is a serious matter to you, which means that it is a serious matter to us. We can’t promise that your case will get dismissed (no attorney can), but we promise that we will give your case our best professional efforts. We will investigate the facts and tell you what we believe the evidence will show. This will put you in the best position possible to make an informed decision about whether to go to trial or enter a plea bargain. Once we know how you want to handle your case we will either begin preparing for trial or working with the prosecutor to reach the best possible plea bargain for you. It is always your decision whether to go to trial or to accept a plea bargain. If you have been charged with a criminal offense please give us a call at 817-810-9344 to discuss your case.